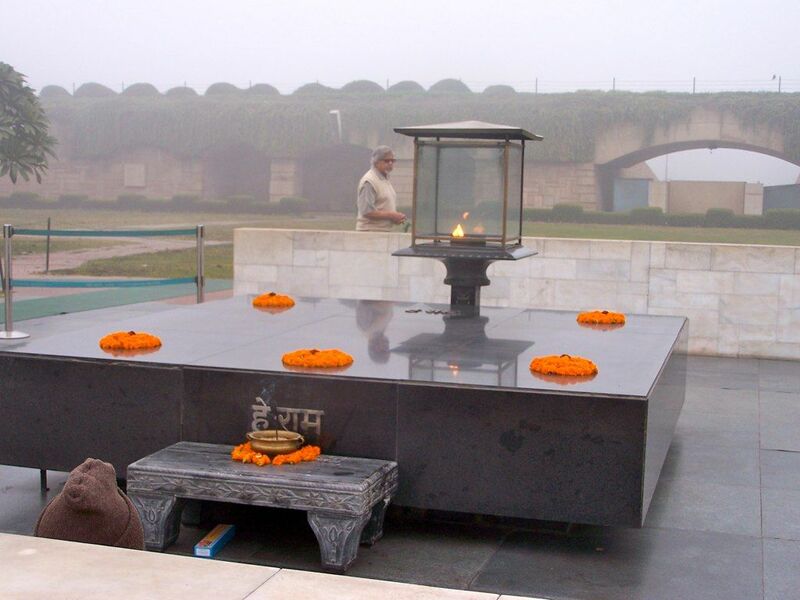 Arun Gandhi is pictured circumambulating the Raj Ghat. Enjoy this beautiful virtual tour and panoramic view of the Raj Ghat, Gandhi Samadhi in New Delhi one of the places we visit on the Gandhi Legacy Tours of India. The Raj Ghat is a memorial to Mahatma Gandhi, a beautiful sacred black marble platform that marks the spot of Mahatma Gandhi’s cremation one day after his assassination. A commemorative ceremony is held every Friday.